Earn FREE crochet patterns just by submitting photos! HOW DOES IT WORK? I am always looking for new professional photos to represent my patterns. Submit a professional quality photo for any of my patterns and if your photo is accepted (to be used in a crochet pattern listing) then you will receive (a) free crochet pattern(s) of your choice. See Ravelry for examples of all my available patterns. See links page for links to the photographers above and also vendors that sell items made from my patterns. NEW: You can apply to join my photography group on Facebook. It works the same as what is outlined here except that there will be specific opportunities to supply photos (and receive free patterns). Apply here. * To start with, you must already own the crochet pattern. Free pattern(s) will be awarded if the submitted photo meets the guidelines of what I am looking for to represent the pattern. After a relationship is established, some people may receive access to all of my patterns for free. This depends on the quality and quantity of photos submitted. * The photo must be professional. Amateur photos may be submitted if they are of excellent quality. Suggestions: Use natural daylight, no distracting backgrounds, in focus, etc. * The photographer must give permission for the photo to be used in listings for the crochet pattern. (These listings may include Ravelry, Etsy, Craftsy, Loveknitting, Facebook, my website, and my blog.) Proper credit will always be given to the photographer. Please obtain permission from the photographer before submitting photo. I link to professional photographers on my website links page and will tag them on facebook. If the photo is posted on facebook, I will make every attempt to tag both the photographer and the vendor. * Watermarks must be subtle and not detract from the photo. Try to avoid multi-color or large-dark-text watermarks as those photos will not be accepted anymore. White or semi-transparent watermarks are more appealing and don't detract from the photo. * Item must not deviate from pattern. 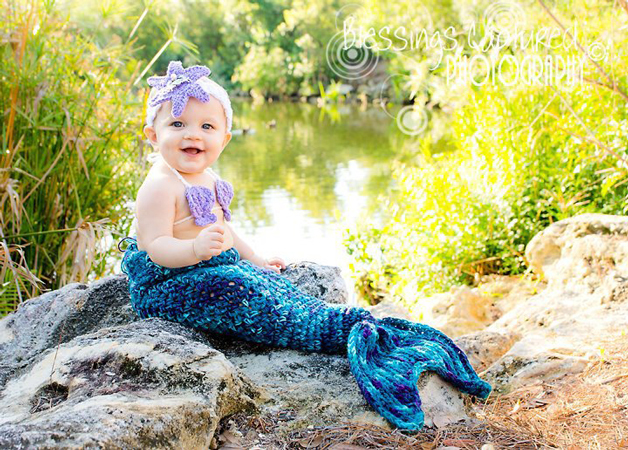 No alterations to pattern and no crochet additions that are not included in the pattern. This means “do not add a crochet flower, crochet bow, etc. that is not included in the pattern”, for example. Fabric flowers, buttons, or other accessories that anyone can purchase are acceptable. * Photos of the pattern being worn by a model are preferred. * The photo needs to be of an acceptable size for online use. Preferred size is at least 675 pixels wide. 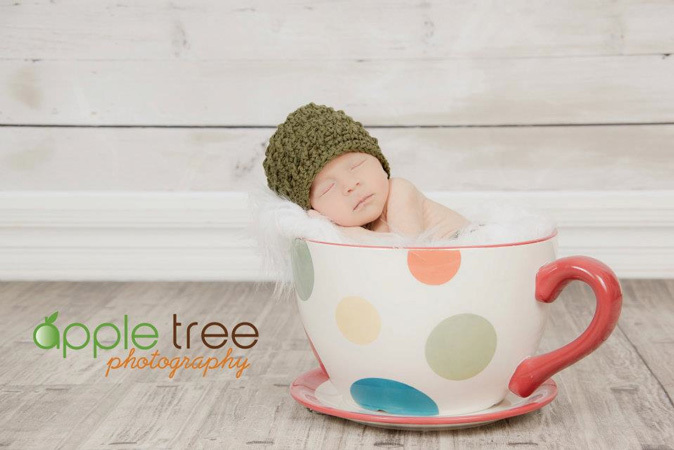 The photo does not need to be large enough for printing, it will only be used online. * DISCLAIMER: Not all photos can be used; they must meet certain requirements. I reserve the right to decide if I can use the photo in a listing. However, I guarantee that if your photo is used, you will receive a free crochet pattern in return. Listed below are some of the patterns that need a good professional photo, and notes on what I am looking for in the photo that will represent the pattern. Some of these patterns may already have a good photo but I may be looking for a different shot to show another option (color, style, age, gender, etc.) of the pattern. Click on the name to go to the Ravelry listing for that pattern. Check out Ravelry to see all my patterns. Photos will be accepted for any pattern, but if you're looking for ideas, check out the list below. 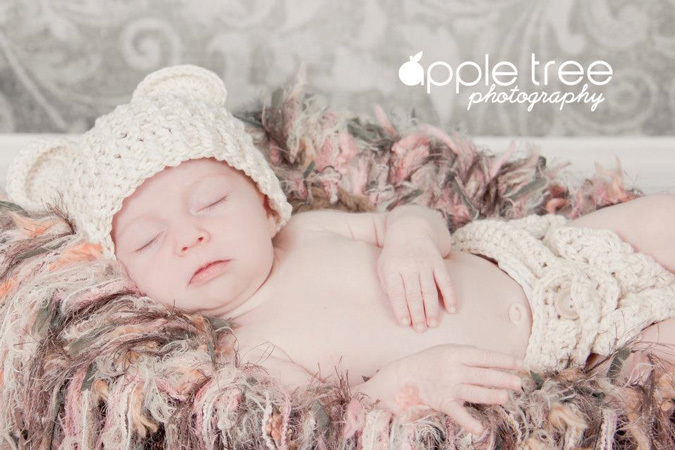 Chunky Chain Link Baby Cocoon or Swaddle Sack - Any good photo with a newborn. Diagonal Weave Baby Pants or Overalls - I'm looking for a good photo on a newborn and also older sitting babies. Diagonal Spike Stitch Baby Pants - Good photo on newborn (both with and without matching Diagonal Spike Stitch Baby Bonnet). 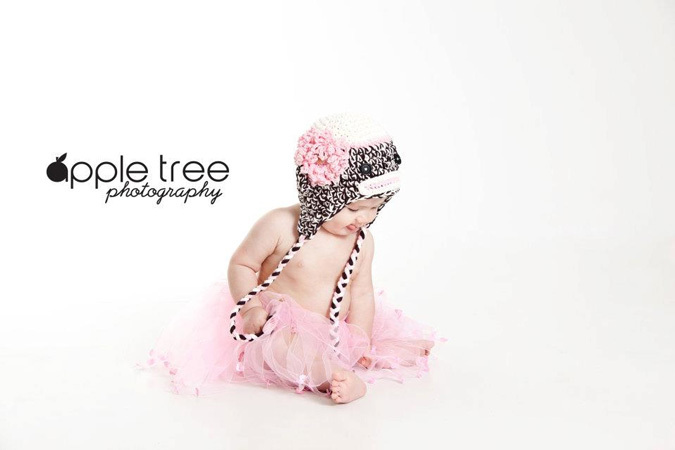 Side Step Baby Bonnet - Good photo on a newborn. 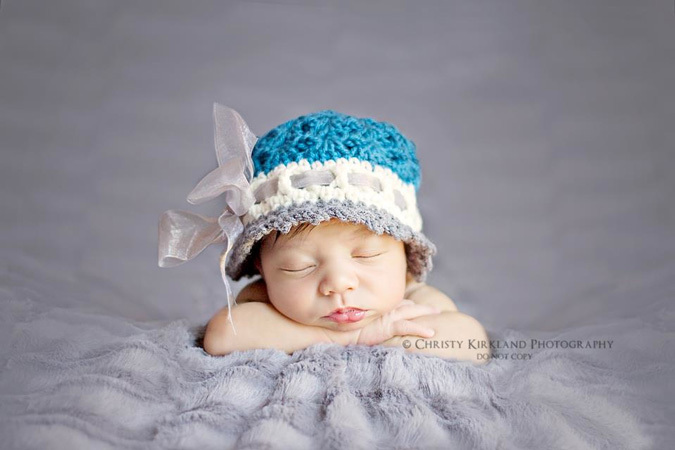 Katrina Baby Cocoon or Swaddle Sack - Good photo of a newborn with or without the matching Katrina Ribbon Cloche. Diagonal Weave Baby Pants - Good photo of a newborn wearing these with any of these matching hats: DW Baby Bonnet, DW Pixie Bonnet, DW Newsboy. 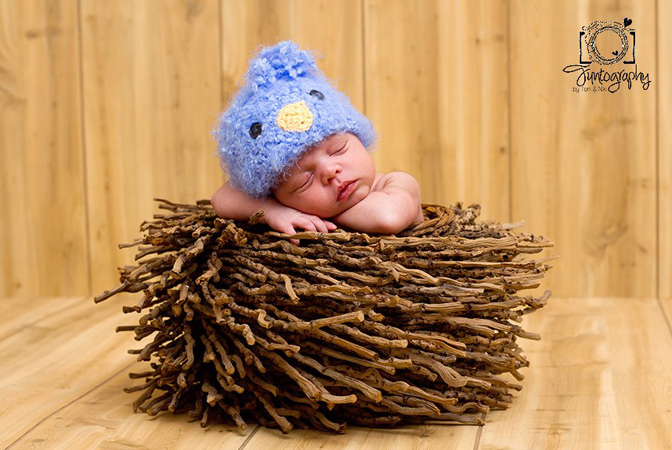 Arrowhead Baby Bonnet - Photo of a newborn where you can clearly see the texture of the bonnet. Ashlee Beanie or Cloche - I would like to see more color variations with both styles, I have a nice photo in one solid color, so would like to see the stripe in a different color. Any age is fine. Freedom Fighter Newsboy Cap - This hat has several versions, I'd like to see the following styles: pink camo with military buttons ("courage/honor" as shown in Ravelry listing), or camo with orange or pink trim. 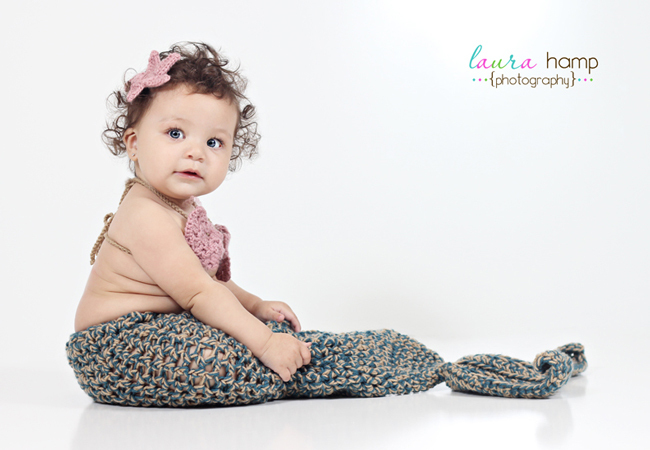 I'd like photos on babies of all of these versions, I have some great shots with older children already. Butterfly Garden Beanie - I'd like to see this one done entirely in cream with a cream satin ribbon, preferably on a newborn. Panda Bear hat - I would like to see a 6-12 month old baby, sitting up wearing the hat, maybe in a coordinating tutu or a cute matching outfit. 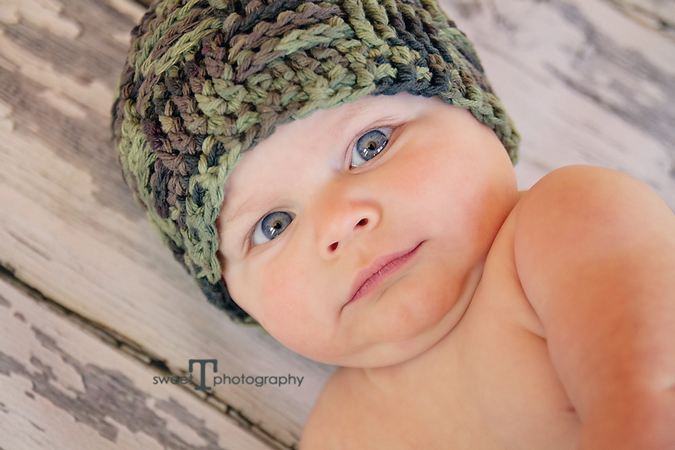 Puppy Dog Hat - I have cute pictures of this on a newborn boy, would love to see girly colors on a newborn girl. To submit photos, email me at info@crochetbyjennifer.com.